Blended with quality service and convenience, the Ork Hotel Hveragerdi is a perfect choice for business and leisure patrons. This hotel is located in Hveragerdi, a small village often called as the Iceland's Health Village and is 45 kilometres from Reykjavik. All the rooms at the Ork Hotel are loaded with modern facilities that make your stay productive and enjoyable. Guests at this hotel can relish a variety of delicacies at the onsite restaurant in an elegant setting. The hotel also has 6 well-appointed meeting rooms for your business conferences, seminars, banquets and other private events. During leisure, you can take a plunge in the outdoor swimming pool, which features a water slide, hot tub and geothermal sauna. Set in a peaceful area on the banks of the River Ölfus, the Hotel Selfoss is a contemporary four-storey property located one kilometre from the town centre and 60 kilometres from Reykjavik. 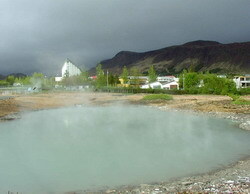 Keflavik International Airport is 95 kilometres away and can be reached by car in approximately 75 minutes. 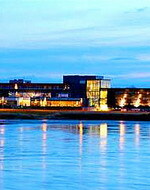 The Hotel Selfoss screens the latest films in its in- house cinema, and features its own onsite shopping mall. The hotel also houses a hair salon, coffee shop and a modern bar. Other amenities include dry-cleaning services, currency exchange and laundry facilities. Those arriving by car will find complimentary parking on site. 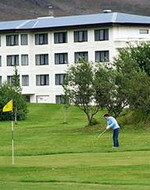 The Hotel Selfoss houses the contemporary Riverside Restaurant, which offers mountain and river views and serves a range of international dishes. Thingvellir National Park, located 60 kilometres away, is home to some of Iceland's most dramatic scenery, with lakes and cliffs formed by intense volcanic activity. Listed as a UNESCO World Heritage Site, the park also has historic importance as the birthplace of the Althingi, one of the world's oldest parliamentary institutions.